Whether you’re moving into or heading out of Westborough, a safe, hassle-free relocation experience starts by choosing a reputable moving company—and no one can match the expertise or experience of Liberty Movers! Since 1920, our family-owned and operated company has helped thousands of families and businesses relocate across Worcester County and the entire country. In addition to our highly skilled Westborough, MA movers, we’re a proud agent for Bekins Van Lines, a premier moving network that covers more than 95% of the United States and has professional partners worldwide. 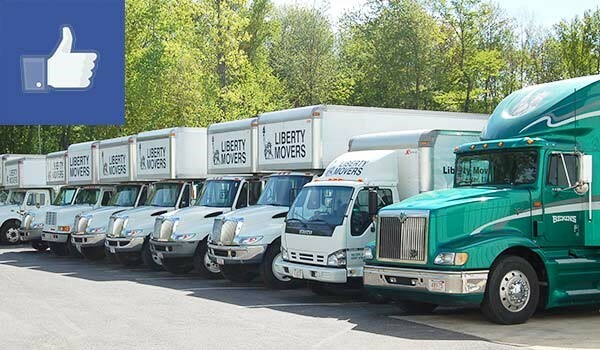 Wherever you need to go, Liberty Movers can get you there with unmatched efficiency, professionalism, and affordability! Why Choose Liberty Movers for Your Cross-Country Relocation? We know that there are many local moving companies vying for your moving budget dollars, with more popping up every day. Though some other Westborough long-distance movers claim to offer the best services, they can’t come close to our world-class services and top-notch customer support. In fact, we’re Worcester’s largest and oldest moving company! If you’re planning a move across state lines, make your journey simpler and less stressful by working with the skilled long-distance movers of Liberty Movers. Call us for more information about our flexible relocation services, or request your free estimate by completing our brief online form right now!